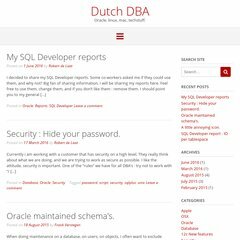 Topics: Content, Dutch Dba, Oracle Dba, Training, and Howto’s. It has 2 DNS records, ns2.hosting2go.nl, and ns1.hosting2go.nl. Superior Internet Services Helmond is the location of the Apache/2 server. The programming language environment is PHP/5.2.4. PING www. (83.137.194.4) 56(84) bytes of data.